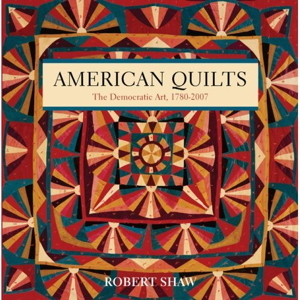 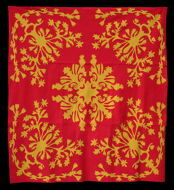 Robert Shaw has curated dozens of special exhibitions of contemporary and antique quilts at museums and expositions in the United States, Japan, and Europe, including the National Gallery Of Art in Washington, D.C., the University of Michigan Art Museum, the New England Quilt Museum, International Quilt Festival (Houston), and the Tokyo International Great Quilt Festival. 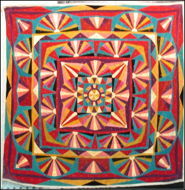 Bob offers an exceptional range of high quality quilt exhibitions, lecture programs, and related services to museums and other venues. 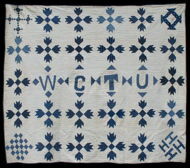 The exhibitions are usually rented for a three-month period and come ready-to-hang, with labels, wall texts, and PR materials. 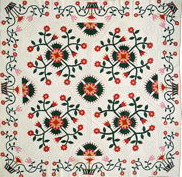 A full list of available exhibitions can be downloaded by clicking here. 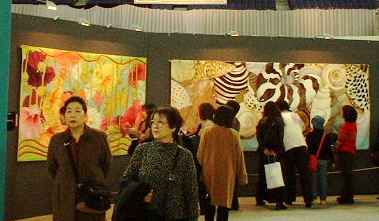 Bob also often works with museums and expositions to organize exhibitions tailored to specific interests, needs, or themes. 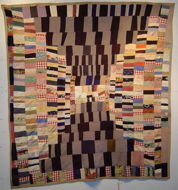 Please contact Bob for more information about bringing one of The Art of the Quilt's exhibitions to your museum or event. 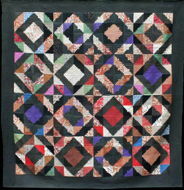 Eleanor McCain's most recent project is the Oil Stains Series, a group of of fourteen hand dyed quilts made in response to the 2010 BP oil spill and its effects on her community in northwest Florida, which adjoins the Gulf of Mexico. 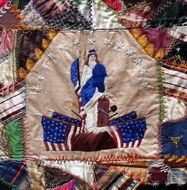 We are currently seeking venues interested in exhibiting this powerful and provocative group of quilts. 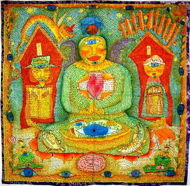 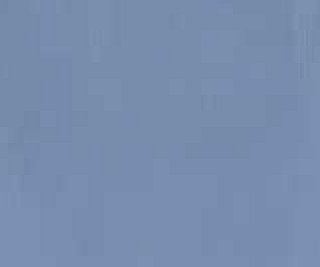 Click here for more infomation. 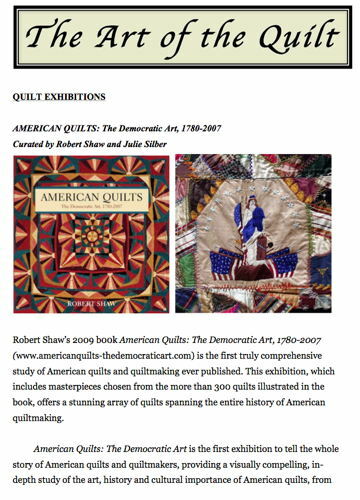 Robert Shaw and renowned antique quilt expert and former Esprit Quilt Collection curator Julie Silber have co-curated an exhibition of American quilts based on Shaw's book, American Quilts: The Democratic Art, which was on view at the Whatcom Museum in Bellingham Washington, from August 4–October 28, 2012. 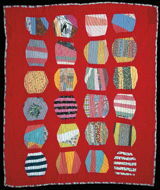 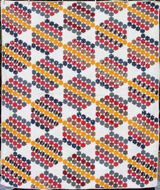 The exhibition includes extraordinary quilts dating from c. 1800 to 2005 that encompass the full range of American quilts and quiltmaking and make a powerful statement for the quilt as a major American art form. 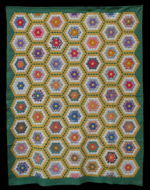 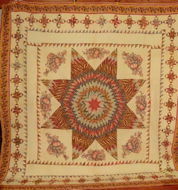 The exhibition includes a host of masterpieces, from a huge and spectacular c. 1830 Medallion Star with broderie perse appliqué and a magnificent Baltimore Album quilt to pioneering modern quilts by Jean Ray Laury, Nancy Crow, Michael James, and Susan Shie. 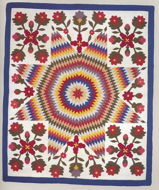 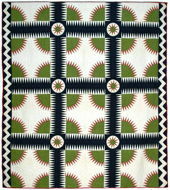 The show also includes remarkable Amish, Native American, African-American, and Hawaiian quilts, drawn from private and museum collections across the country. 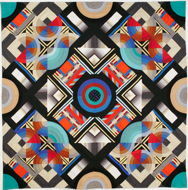 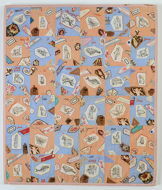 This is an exhibition not to be missed by anyone remotely interested in quilts or American art. 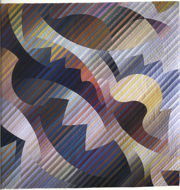 We are currently seeking other venues for this exhibition. 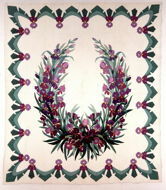 Contact Robert Shaw for details. 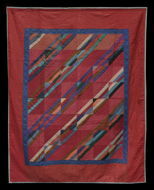 A selection of some of the thirty-five quilts in the American Quilts: The Democratic Art exhibition appears below.